The School of Pharmacy’s Class of 2016 distinguished themselves with the nation's highest rate of members passing the licensure examon their first try: 99 percent. 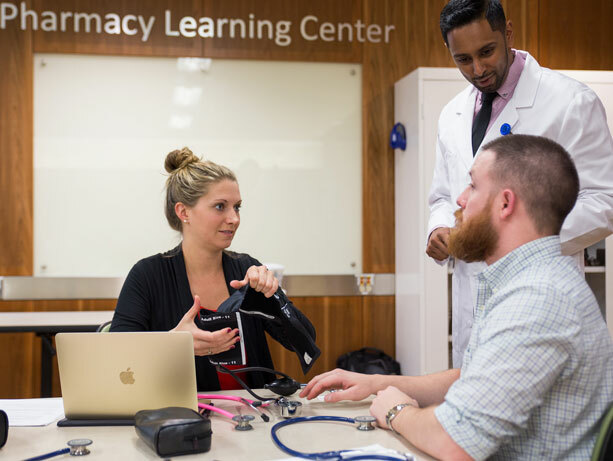 In the first six to 12 months after graduation, PharmD graduates take the North American Pharmacist Licensure Examination, or NAPLEX. It measures a candidate’s knowledge of the practice of pharmacy, and is one component of the licensure process used by the National Association of Boards of Pharmacy to assess a candidate’s competence to practice. In 2016, more than 15,500 pharmacy alumni nationwide took the NAPLEX; that number represents a 40 percent increase over 9,000 first-time takers 10 years ago. In pharmacy schools across the United States, the rate of test-takers passing the exam in their first try declined last year to 85 percent, on average, the lowest figure ever. Contributing factors might include the exam's increased duration, from 4.5 to 6 hours, and increase in questions (185 to 250).